The Activity Zone offered a great variety of family entertainment. You could watch some fun-filled demonstrations and participate in a whole host of interesting 'have a go' attractions. 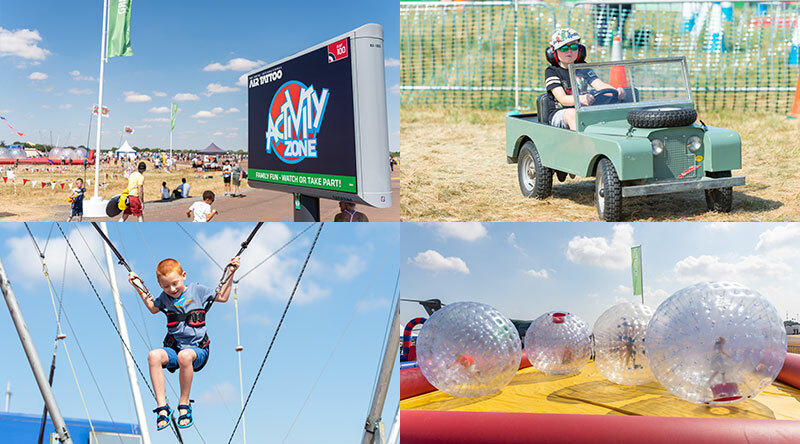 In 2018, we had lots on offer, including caving slacklining, bumper cars, zorbing, mini Land Rovers, skate ramp, party skills workshops, and lots more! "Great for the kids if they get bored... good addition to the show." "Very good, kids loved it and the staff engaged well." "Plenty of things to try and didn't have to queue for very long."